Thanks for sharing this. I’m reading a non-fiction history of the Jacobean era and I’m surprised to find the same gender curses then as now (calling someone a lady or feminine to degrade them. I know, I shouldn’t be surprised. I’m not that the gender bias was just as forceful among the elite. What surprised me was that it’s basically the same wording. It gives some perspective on how deeply it’s set into our culture, that’s for sure. Thanks for posting this. 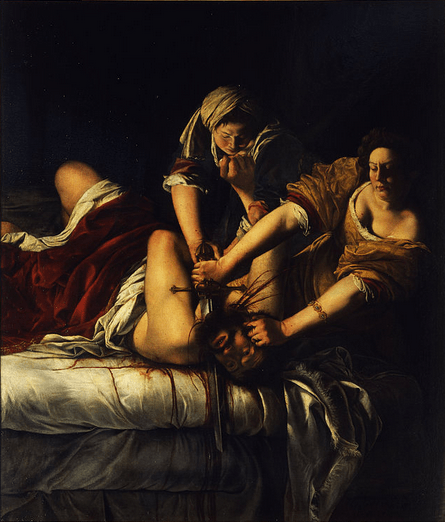 Artemisia Gentileschi was a superb artist who should be far better remembered. 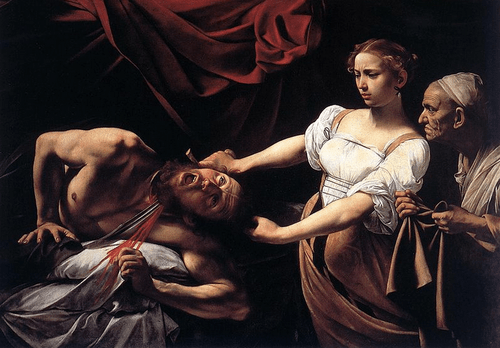 Judith Slaying Holofernes, like her other works, exudes tremendous energy, emotion, and power. Someone needs to do a biopic. Please write more blog posts about Artemisia! 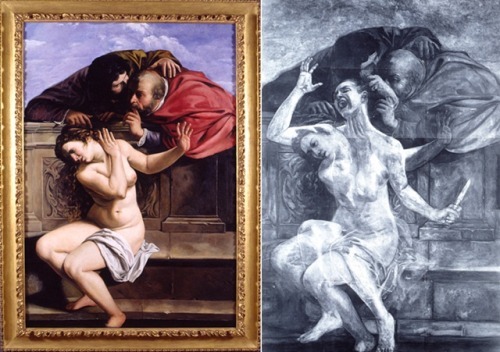 I love restored paintings with X-ray! They are always so creepy and cool. Fu la prima donna ad essere ammessa all’Accademia d’Arte di Firenze e fu amica di Galileo Galilei.Vi risulta? Interessante! Non sapevo che erano contemporanei. I seem to remember hearing a story that Artemisia was unsure of how to pose Judith and happened to walk by the kitchen one day and saw one of the cooks butchering some meat, and the pose and facial expression of the cook is what she used. Sorry, can’t quote a source on that, but every time I see this picture I have little doubt that it could be true though I can’t say whether it is or not.